Is Eclipse in fact the “old-school action movie of the summer”? For any Team Jacobs out there...remember this resemblance..so you WILL realize that Edward DOES INFACT brood sexiness. I know you have been wondering where I have been and where my movie review is posted, and my gushing about Robert Pattinson’s sexiness-since it HAS to be out there since the movie has been out for seven days!!! Well we will get to that-including Rob’s good looking-ness in a timely manner…. I honestly had been avoiding this for a few days after first seeing it at the midnight premiere in IMAX no less…and with my Cullen Clan outfit, ohh yes lots of blues shades in the wardrobe. Being the typical obsessed fan without a doubt-that scary. Even my Partner In Crime.Non (nicknames ALWAYS used in posted blogs! ), was dressed to impress with her Team Cullen/Team Husband that we painstakingly made for the New Moon premiere last November when The Three Twi-migas tore up the Mall of Georgia…yes[sadly] only Non and myself were able to claim the theater territory this midnight premiere around. Since the third member of our party (Twi-Mama L) was MIA–occupational hazard– she was missed greatly. So building up to the event of Epic-ness at midnight of Movie Premiere eve…the day I’ve been waiting for, for who knows how long. And then it happens…the point of the story for which I have been avoiding to write this infamous movie review blog….wait for it…..
You know Bella and Edward are stealing the scene being all cutesy..”Marry me” “Change me!” And then from the near distance- elaborately acclaimed screenwriter- famous for transforming the Twilight Saga books into movies- Melissa Rosenberg- and her disgustingly envious supermodel body-type frame literally charges onto camera view with a rusty machete in both arms swinging away as if they were nunchucks, but much more intense, starts hacking aways at EVERYTHING-from the tent, to the Cullen house, to everyone’s dialogue, to everyone’s hair–err wigs. Needless to say Bella-ward along with the rest of the Cullens start heading for the hills as Mel is chopping up someone’s script. And then she screamed out with an evil shrill laugh straight from The Shining, and she squalled out “Now thesseee are MYYY writings!” The cameramen were pretty shaken up because we see that the camera is violently dropped and now on its side though still focused on Melissa’s madness as if she were standing on the wall..
THAT REALLY DID HAPPEN…okay, figuratively speaking it did. Okay, now it is out in the open that Melissa Rosenberg is OFFICIALLY a “Book Butcherer.” I’ve said it..and I won’t take it back. The wonderful Stephenie and the "Book Butcherer".. I mean Melissa. Remember that old saying…DON’T FIX WHAT’s NOT BROKEN. Needless to say, when we left at 2:30 AM i did not know what to think, much less what i saw. Since this was Melissa’s story, NOT Stephenie’s masterpiece. 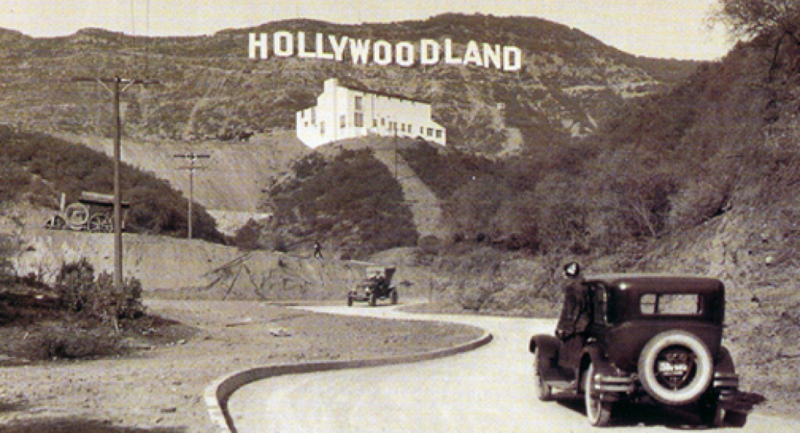 -Melissa Rosenberg as a screenwriter (DUH!) Who would have thought? -Bella’s character and reactions. Kristen Stewart really IS an amazing actress, but she is ALWAYS always the screen Bella, and never really the book Bella. Screen Bella keeps on yelling at Edward when she is SUPPOSED to be in love with him and in harmony. Also Book Bella is usually the one always wanting to make out with Book Edward while he is in fact the grown-up and knows when to stomp on the brakes since her safety is his priority. Screen Bella keeps pushing Screen Edward off of her when he is kissing her- what is your problem Screen Bella, the sexiest man in the world is kissing you, and you don’t even care! So in the same light their relationship seems more physical (IF YOU HAVEN”T READ THE BOOKS), and doesn’t seem to have a real foundation even though it really does. -Actor’s hair, I mean wigs. Yes sometimes Bella’s hair looks a little off and her forehead is as big as Texas. Speaking of Texas and wigs, Jasper’s wig was a little off too. The hair style was accurate since he was a Major in the Civil War, but the actual wig itself looked almost cheap (come on Summit you had a 68 Mil budget this time)…Good News- Bella will NOT be wearing a wig for Breaking Dawn-she said so herself No more Major Forehead Attack for married Bella and Vamp Bella since K-Stew’s hair will be grown back by the fall. -Bella’s wardrobe. Period. Okay for New Moon she got a bit of a makeover, then for Eclipse she gets a.. makeunder? Seriously I know that she could care less about wearing anything but jeans, but ALiCE sure does. Alice usually gives her clothes to make her wear, and tortures her by painting her toe nails. Where was Alice when Bella was getting ready for graduation day (she was supposed to come through her window with a blue sweater and skirt.) So Bella looked pretty sad and underdressed at HER OWN graduation partay when everyone else was dressed to the nines! -Alice and Jasper’s crucial meeting scene at the diner in Philly. Or lack there of. Yes, after Jasper’s back story, they say what they said to each other when they met, but i was SO hoping against hope that that scene would have made the cut…I think it’s because even though i do like Bella and her courage to stand up for what she wants, in the end i really do like Alice a little better. OHH- and lack of continuity with these two: In New Moon we found that Alice & Jazz had finished school, and had visited just to give Bella her bday gift. Then in Eclipse, lo and behold, they too are in caps and gowns ready to graduate with B & E. Maybe i misunderstood their role in NM, but their purposes with school were made confusing. Okay so those were the main things i did not like about the movie adaptation (basically the first point where nothing came close to the book.) But after the major disappointment (and phone call with an equally mad Twi-Mama L where we basically demoted Mel Rosenberg’s name even more for sullying Stephenie’s own name) I had to have that reality check to think about how high my expectations really were. I had to grasp that this IS the movie version, which is always different and apart from the original story version. And as much as i did not want to admit–since i am unhealthily obsessed with sparkly vegetarian vampires and luscious meadows that Stephenie Meyer dreams up hense the scrutiny of it having to be 100% word-for-word– Eclipse was indeed an EPIC film. Because it is the film version, not the book version. And that also gets me to thinking about the film Bella, and though she has absolutely NO excuse to be so terribly harsh to Edward when she says time and time again that he is completely self-less, and she should be thanking her lucky stars that the song “Possibility” is not playing anymore since she is in fact not in her Zombie state since he is back with her. Though I would prefer movie Bella to be more like book Bella, Kristen brings her own characteristics to the protagonist. I’ve said before that Kristen brings fierceness to Bella that she never had-since she says she makes the Cowardly Lion look like the Terminator. But it seems like with the addition there, this Bella’s emotion is completely stripped. And let’s face it, Bella IS emotional! Her anger is connected to her tearducts, and she gets mad at the world a lot. But at the same time I think I’ve finally figured out that Kristen Stewart’s Bella does not draw from her Book Bella characteristics, yet from the literary components that Stephenie Meyer so famously laced through each book of the saga-well it is really Bella and Edward’s relationship that reflects from the classics. Namely, Twilight was loosely based on Pride and Prejudice, so Bella and Edward would get along one second, and then Edward would put his guard up again and they would fight. Then in the end his guard comes crumbling down and they are inseparable in a sense (taking James out of the picture that is. )So Bella in a sense was played like a very confused Elizabeth Bennet. New Moon was like Romeo and Juliet-remember them reading/watching it in Mr. Berty’s class? And the story line was also a lot like R and J when Edward thinks she is dead, he goes off and tries to get himself killed. But she in fact goes to get him and saves the day. Basically in NM, Bella extremely melodramatic when it comes to Edward..and when he is gone she is the opposite of meladramatic…a self-described Zombie. So here we are now at Eclipse. This one Steph loosely based off of Wuthering Heights, and which similarities may be seen with this love triangle, and selfishness vs. selflessness. Bella end the end of the book sees herself as Catherine Henshaw AND the worst monster of them all (worse than both a vamp and wolf) when she sees that she hurts both Edward and Jacob without knowing that she is. So I am slowly beginning to think that Movie Bella-with her fierceness absorbs more of those Cathy attributions than Book Bella could even conjour. Valedictorian: Is this some kind of Graduation Prank? In the BOOK, the Forks High School valedictorian is the brainy Eric Yorky-which makes sense right? And Eric did make the cut into the movies- unlike so many like Tyler Crowely who in the first one almost pancaked Bella with his van, but suddenly disappeared in New Moon..who does that? Oscar Nominee Anna Kendrick (Up in the Air) plays Jessica who is the valedictorian in the movie. I think it is fitting that the actress, Kendrick, plays the most intelligent student in the class what with her acclamations in real life. But not really this specific character. JESSICA STANLEY- Highest GPA at Forks High School class of 2006?!? Jessica Stanley, daughter of Mrs. Stanley, Fork’s biggest Gossiper? Jessica “Drama Follows ME Everywhere” Stanley because to Jessica, Its ALL about JESSICA. Needless to say, I found that one hard to believe, and unfitting…especially that she would have a higher GPA than the Cullens. So then after these conclusions, I did in fact go see it again. Twice in fact. And when I let go of my inhibitions I REALLY enjoyed the movie more- like i should have the first go around. Believe it. Up next: What I DID love about the film. Stay tuned. 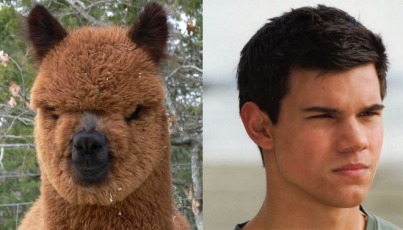 NOTE: The Alpaca/Jacob resemblance photo was from LetterstoTwilight.com and LetterstoRob.com. It is their photo, but hilarity ensues whenever they post it and whenever i see it.